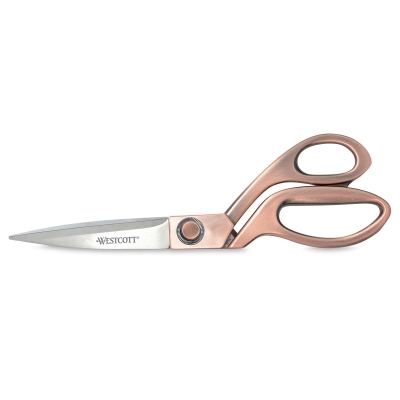 A cutting tool with classic charm, Westcott Vintage Copper Finish Scissors feature cast-alloy handles with a stylish copper finish. 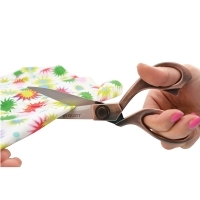 But they're more than just good-looking — the scissors' stainless steel blades resist corrosion so they stay sharp over time, and the bent handles improve handling for accurate cuts. 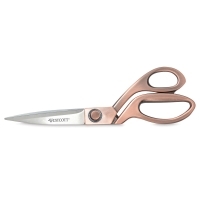 Heavyweight and durable, all-metal Westcott Vintage Copper Finish Scissors are 8" long and backed by a five-year manufacturer's warranty.